I did not have breakfast, but the room had a kettle and facilities to have a meal as well as a desk, free WiFi and TV. Die Lage an der Kaiser Friedrich Promenade war sehr gut. 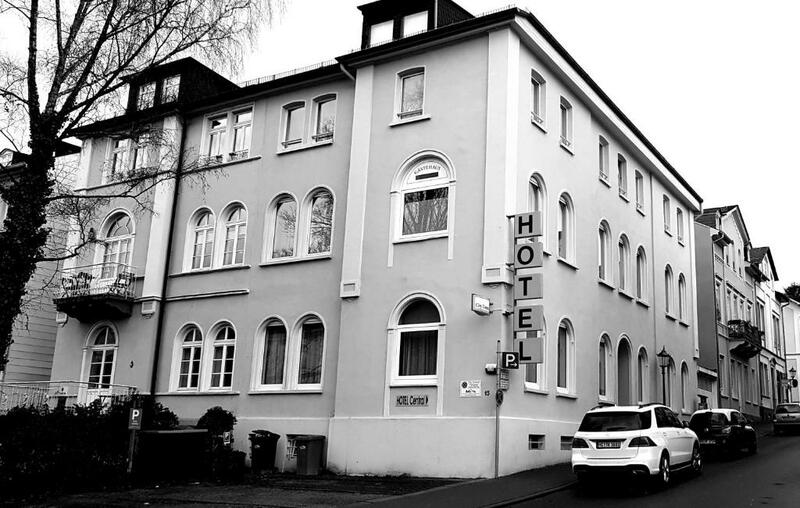 Das Hotel und das Zimmer waren sauber. Das Frühstück war gut. Die Lage ist ausgesprochen gut und zentral. Das Zimmer war sehr geräumig, die Betten komfortabel. Das Personal war ausgesprochen nett und hilfsbereit. Das Frühstück war sehr gut und absolut ausreichend. Rien. Je ne pas utiliser la chambre. On m'a mis dans un batiment séparé de l'hotel. La chambre n'avez pas de rideaux, trop brouillent, de vieux draps, trop des lumières rentrer de la rue. L'eau de toilets des batiment de 3 ou 4 étage, descendait par le mur de la chambre. Donc impossible de dormir la. J'ai vidé la chambre une heure après de mon arrivé. Ich war absolut positiv überrascht! 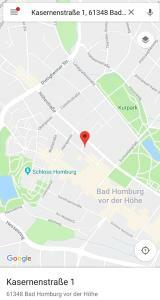 Sehr günstiger Preis, zentrale Lage nahe der Innenstadt, super saubere Zimmer, schönes Bad und sehr netter Service. Bei der nächsten Liebscher & Bracht Schulung in Bad Homburg übernachte ich sicher wieder hier! Las habitaciones limpias y muy cómodas. El personal buenísimo. 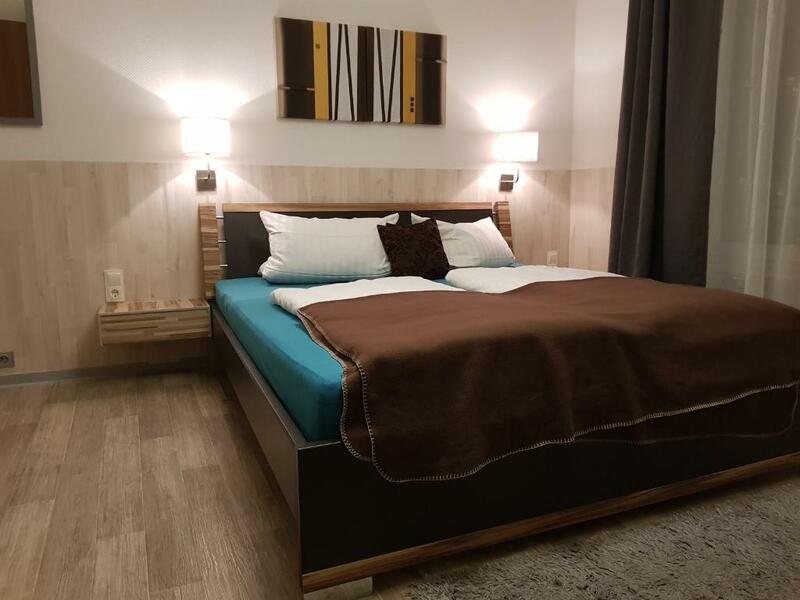 das Bett extrem durchgelegen, das Frühstück ist das Geld nicht wert, an 3 von 8 Tagen wurde das Zimmer u Bett gemacht, Handtücher stinken und sind hart und alt, werden in einer Woche nur 2mal gewechselt, Im Kleiderschrank nur Hängemöglichkeit u das auf Drahtbügeln, Dusche nicht sauber, Duschvorhang alt und grauslich, Ablage in Dusche verrostet, Steckdose hängt aus der Wand, es gibt keine frischen Trinkgläser, Zimmer wird einfach von außen von Personal aufgesperrt obwohl man sich im versperrten Zimmer befindet, man kann jederzeit in das Hotel ohne Schlüssel (jeder! ), kein Rauchmelder im Zimmer nur die Befestigung dafür, in der Lampe gehen von 6 Glühbirnen nur drei, Rezeption kaum besetzt, Personal sehr unfreundlich, Heizung wird im Winter einfach abgedreht, wenn man nicht im Zimmer ist.... das schlechrteste Hotel, das ich bis jetzt erlebt habe!!!!! Hidegtálas reggeli, friss zsemlével, cornflakes-szel, frissen főzött kávéval, különböző teákkal. A Hotel nagyon közel van Bad Homburg centrumához és a sétálóutcához, valamint a parkhoz is. Rengeteg étterem van a kornyéken. City Central Promenade This rating is a reflection of how the property compares to the industry standard when it comes to price, facilities and services available. It's based on a self-evaluation by the property. Use this rating to help choose your stay! City Central Promenade is centrally located just a 5-minute walk from Schloss Bad Homburg Castle and its spectacular gardens. 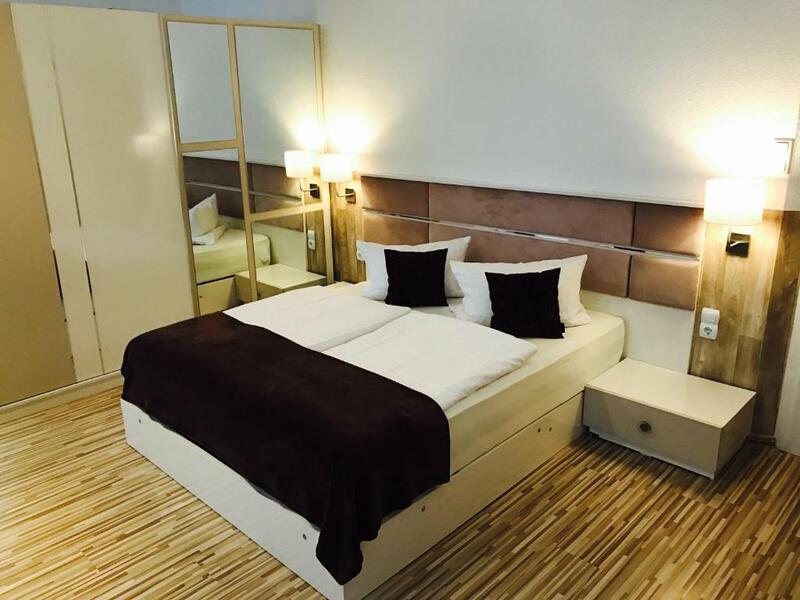 The hotel offers modern rooms and apartments with free WiFi. The rooms and apartments at City Central Promenade are furnished with modern furniture and decorated in fresh, contemporary colors. Each room features a flat-screen TV and private bathroom. Guests staying in the apartments are welcome to prepare their own meals in the well-equipped kitchens. A range of cafés, bakeries and shops can be reached within a 10-minute walk. A paid breakfast buffet is also served on-site. 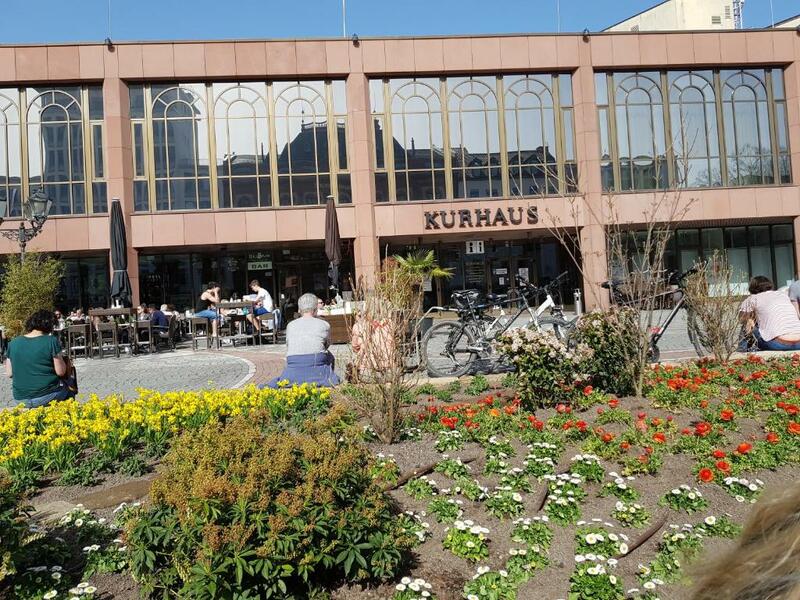 City Central Promenade is just a 3-minute walk from Bad Homburg’s Jubiläumspark and Kurgarten parks. The Taunus-Therme baths and spa is 0.9 mi away and offers a range of wellness treatments. 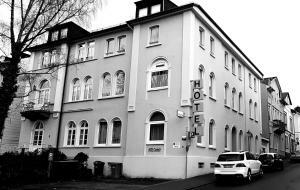 Bad Homburg Train Station can be reached in 5 minutes by car. 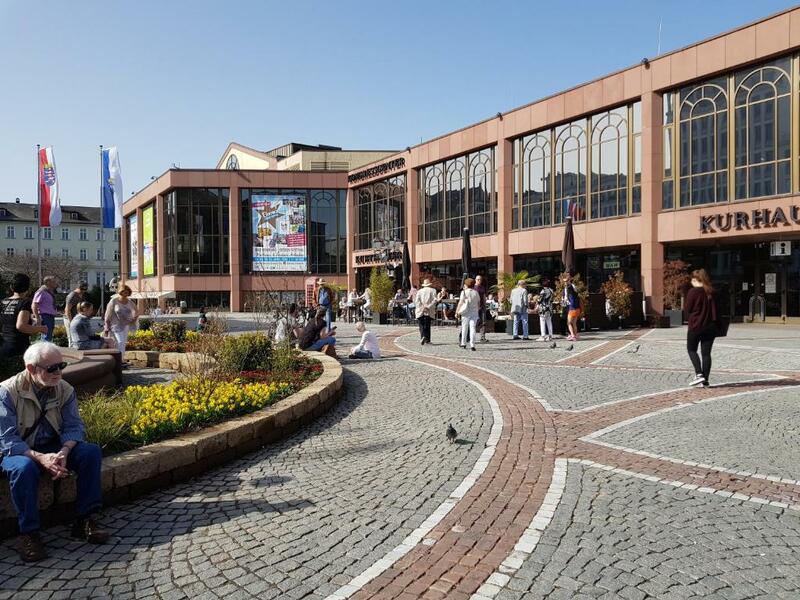 Frankfurt is just a 20-minute drive away from City Central Promenade and private parking is offered on site for an extra fee. When would you like to stay at City Central Promenade? This bright room features a TV, seating area and private bathroom with hairdryer. This studio features a large seating area with TV and sofa, a kitchenette and a modern bathroom with hairdryer. The sofa bed can accommodate 2 extra guests. This apartment features a seating area with TV, a kitchenette and a modern bathroom with hairdryer. This apartment features an open-plan living area with sofa and TV, a well-equipped kitchen and a modern bathroom with hairdryer, shower and bath. One of the best locations in the city. Central and quite. Own Parkings, good WiFi. House Rules City Central Promenade takes special requests – add in the next step! City Central Promenade accepts these cards and reserves the right to temporarily hold an amount prior to arrival. Please note that the City Central Promenade will charge the submitted credit card in case of any damages left behind or extra cleaning required. 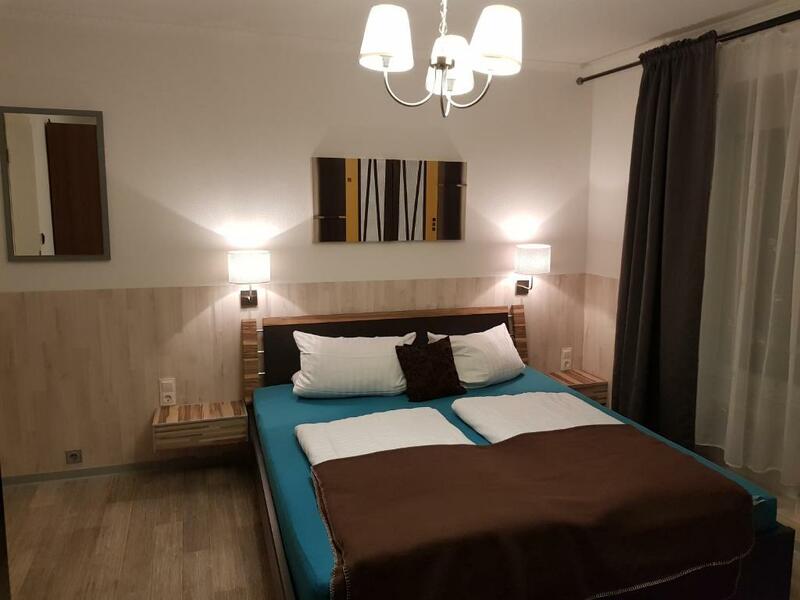 Guests staying in the apartments and studios are asked to pay a EUR 10 cleaning fee at the end of their stay. See the policies for further fees or deposit policies. Please note that parking spaces need to be reserved in advance. Please contact the property via email or use the Special Requests box. 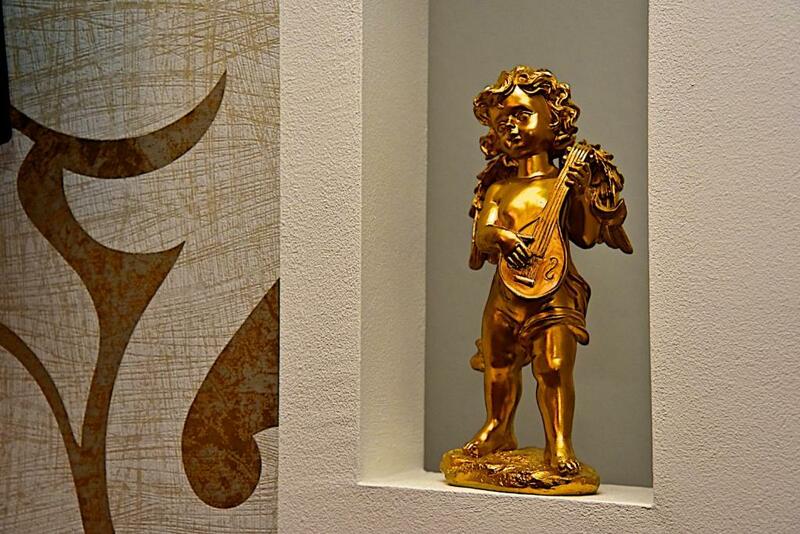 From Mondays to Fridays the reception is open between 15:00 and 20:00. On Saturdays and Sundays the reception is open between 16:00 and 21:00. Guests can still check in outside the reception hours until 22:00. Please contact the property in advance to get the code for the key box. I was happy with the hotel.